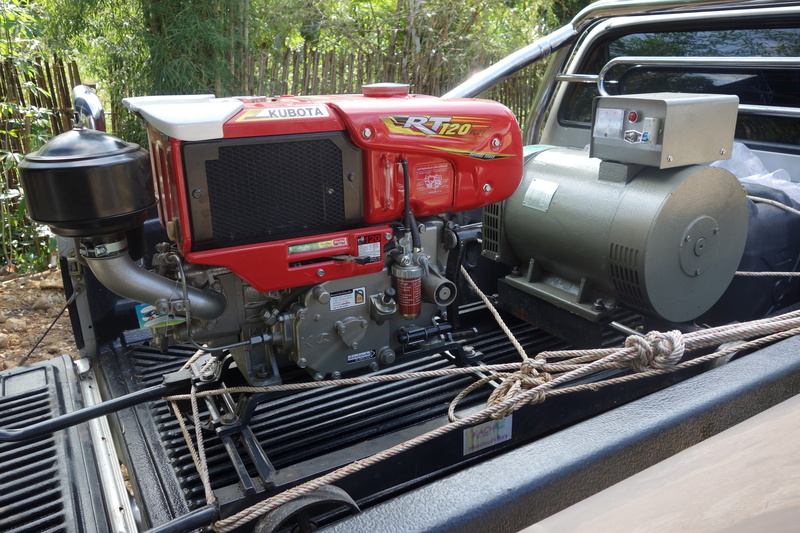 Project KARE delivers more school supplies and a diesel generator too! In Nov. 2014 we returned after a bigger fundraising effort. We delivered 30 used laptop computers – 10 for each of the three high schools in Mae Ra Moe refugee camp. We also provided an 11 kw diesel generator to power the computers and support administrative offices. Additionally we provided two truckloads filled with school supplies for students – notepads, pens and A4 copy paper. Thanks to generous donors, Project KARE delivered this 11 KW diesel electricity generator to power laptops, printers and the education administrative office. Project KARE donated 30 used laptops at Mae Ra Moe Refugee Camp Nov. 2014. This was only made possible by Rose Keating and our friends at Denver Tech For All.